Reef complete is a concentrated optimized blend of ionic calcium designed to restore and maintain calcium to levels found in natural seawater without affecting pH. Calcium and carbonates are essential to all coral growth. If either becomes deficient, coral growth will cease, followed by a rapid decline in coral health. To prevent this you must provide calcium (reef complete) and carbonates (reef builder or reef carbonate). reef complete also includes magnesium and strontium in amounts proportionate to typical utilization ratios. This allows one to maintain These two important elements while maintaining calcium. Reef Complete, 2 L / 67.6 fl. oz. Reef Complete, 2 L / 67.6 fl. Reef Complete is a concentrated (160,000 mg/L) optimized blend of ionic calcium designed to restore and maintain calcium to levels found in natural seawater without affecting pH. Calcium and carbonates are essential to all coral growth. If either becomes deficient, coral growth will cease, followed by a rapid decline in coral health. To prevent this you must provide calcium (Reef Complete) and carbonates (Reef Builder or Reef Carbonate). Reef Complete also includes magnesium and strontium in amounts proportionate to typical utilization ratios (100:5:0.1, Ca:Mg:Sr). This allows one to maintain these two important elements while maintaining calcium. DO NOT OVERDOSE: Excess calcium may enhance the loss of carbonate alkalinity. Do not directly mix with any carbonate supplement. Best if calcium & carbonate additives are added on alternate days or at least 30 minutes apart. Guaranteed Analysis (Amounts per 1 g): Calcium (Ca)(min)…………………………………… 155.0 mg, Calcium (Ca)(max)…………………………………… 160.0 mg, Magnesium (Mg)……………………………………… 8.0 mg, Strontium (Sr)………………………………………… 0.16 mg, Ingredients: Calcium Chloride, Magnesium Chloride, Strontium Chloride. Reef Calcium™ is a concentrated (50,000 mg/L) bioavailable polygluconate complexed calcium intended to maintain calcium in the reef aquarium without altering pH.Polygluconate complexation confers several benefits: it increases the bioavailability of the calcium, it provides a rich source of metabolic energy to help maintain peak coral growth, and it prevents calcium precipitation/alkalinity depletion. 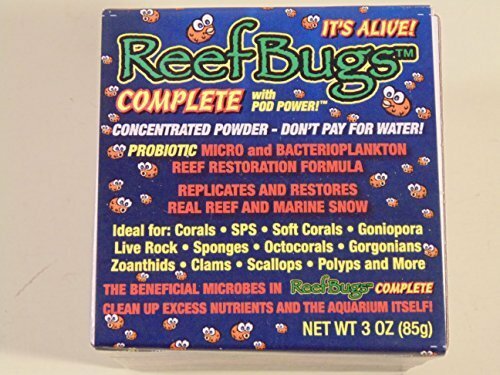 Polygluconate contains no nitrogen or phosphorous, thus it is biologically impossible for it to lead to algae growth in a properly maintained reef system. Reef Calcium™ may be used alone to maintain calcium but will provide enhanced levels of coral growth when used in conjunction with an ionic calcium supplement (Reef Complete®, Reef Advantage Calcium™). 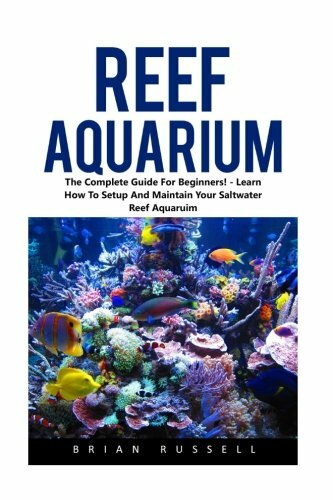 Reef Calcium™ is intended to maintain calcium levels; if calcium becomes seriously depleted one should either perform a water change or use an ionic calcium supplement to restore the depleted level of calcium. Seachem Reef Complete is the liquid version of the Reef Advantage Calcium. It is a concentrated (160,000 mg/L) optimized blend of ionic calcium designed to restore and maintain calcium to levels found in natural seawater without affecting pH (formulated at pH 8.3). Calcium and carbonates are essential to all coral growth. If either becomes deficient, coral growth will cease, followed by a rapid decline in coral health. Reef Complete also includes magnesium and strontium in amounts proportionate to typical utilization ratios (100:5:0.1, Ca:Mg:Sr). This allows one to maintain these two important elements while maintaining calcium. Reef Complete delivers 560x more calcium than is available from an equal volume of kalkwasser solution. Use Reef Complete to maintain adequate calcium and Reef Calcium to promote accelerated growth. 250 mL treats 2,000 L (1,000 gallons). 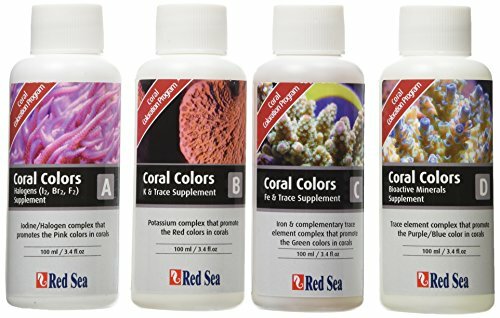 Red Sea Coral Colors A, B, C and D supplements contain the 31 minor and trace elements present in the skeleton and soft tissue of all corals. A - halogens (I2, Br, F2), B - potassium and boron, C - Fe and 7 complementary metals, D - 18 bioactive trace elements. The elements in each supplement are related by their biological function and are associated with the production of specific color pigments (pink, red, green/yellow and purple/blue) in the soft tissue of stony corals. All 31 elements are required by all stony corals irrespective of the actual color the coral displays. For best results in displaying coral colors use Red Sea's NO3:PO4-X as part of the complete Reef Care program. Coral Colors A, B, C and D should only be dosed according to a measured requirement of the aquarium. Comes in a 4-pack of 100-ml that supports a 250-liter SPS aquarium for approximately 60 days, enough time to witness impressive growth and a darkening of coral pigmentation. Sachem reef plus is a full spectrum reef supplement Containing trace elements, vitamins, and amino acids demonstrated to have a positive impact on the growth of corals and other desirable reef creatures. 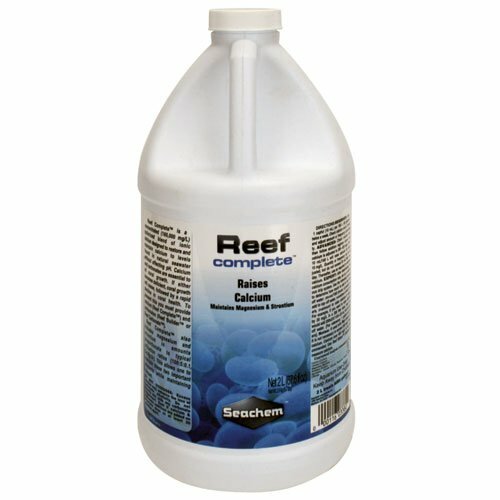 Sachem reef plus is formulated to provide nutrients available from natural tropical reef waters. Contains vitamin B12, vitamin C, THIAMINE, inositol, CHOLINE, IODIDE, and other essential constituents at pH 8.3. Reef plus is nitrate/phosphate free. Unique food product for reef tanks. Copyright © Wholesalion.com 2019 - The Best Prices On Complete Reef Online.